Early in the morning of 25 March, no sooner had I disembarked from the aeroplane in the capital’s airport than I was caught up in the middle of a supposedly spontaneous demonstration prompted by the announcement made by President Bashar el-Assad that he would be increasing the wages of civil servants by thirty per cent as a means of preventing corruption. Less than forty-eight hours earlier, in the town of Daraa, south of Damascus, dozens of Syrians had been killed by government forces following a march of protest against the regime. On 23 March demonstrators from the town and the neighbouring villages had entered the town at around five o’clock in the afternoon, after marching for a number of hours. They were demanding freedom, the rescinding of the emergency law that allowed the military regime to quell all forms of opposition, and the release of political prisoners arrested on the basis of this arbitrary law. Reaching the town centre, the marchers were met by government forces, which opened fire on them. Two brothers from Al Hrak were shot by snipers, who used a classic ploy: selected at random, the first brother was felled by a bullet in the middle of his forehead, the second brother rushed to help him and was immediately killed, also by a shot to the head. On the following days I tried to enter Daraa and Assanamein, but both towns were circled by troops. On 26 March I entered the village of Al Hrak. Here, members of the victims’ families and villagers had taken to the streets to demand justice. On Sunday, 27 March it was the turn of the country’s northern regions to be gripped by the fever of street demonstrations. Latakia was the next town where massacres took place. 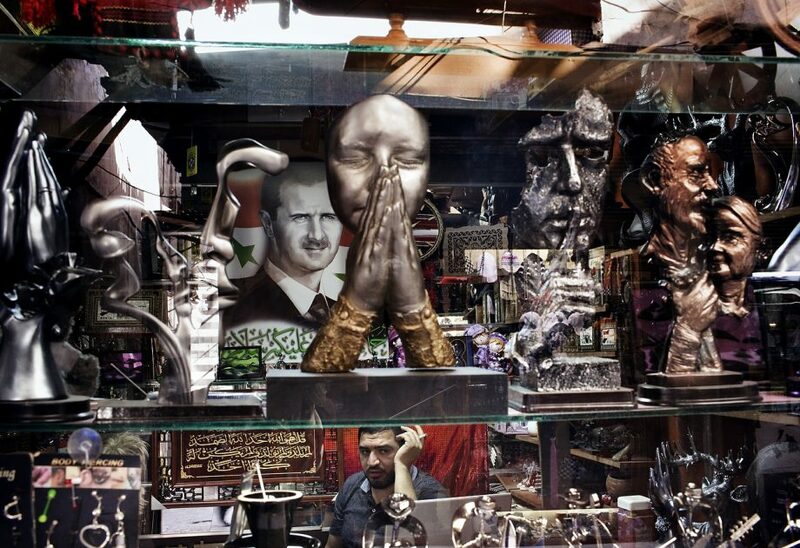 In Damascus, as if hypnotised, everybody I spoke to tried to convince me that the country was at peace. But when I mentioned Daraa, they straightaway said that Hezbollah-sponsored terrorist groups were responsible for the killings there. Nobody was prepared to accept that their president had murdered those people on the basis of an anachronistic law in punishment for their having dared to rebel. Even though they refused to believe, the city’s streets were emptier than usual, and after ten o’clock at night they were deserted. The whole business about terrorists reminded me of the scare story bandied about in Romania in 1989, when we were looking for terrorists that haven’t been found to this day. Tired of so much searching, we have forgotten to look for the real guilty parties. On the morning of 30 March, everybody was impatiently waiting for Bashar to give a speech. Despite events thitherto, if well stage-managed the speech could consolidate the president’s position, reconfirming him as a genuine leader of the Syrian nation. By accusing foreign powers and various television channels for the emergency situation, the president missed this opportunity, in my opinion, and thereby paved the way for fresh waves of demonstrations. 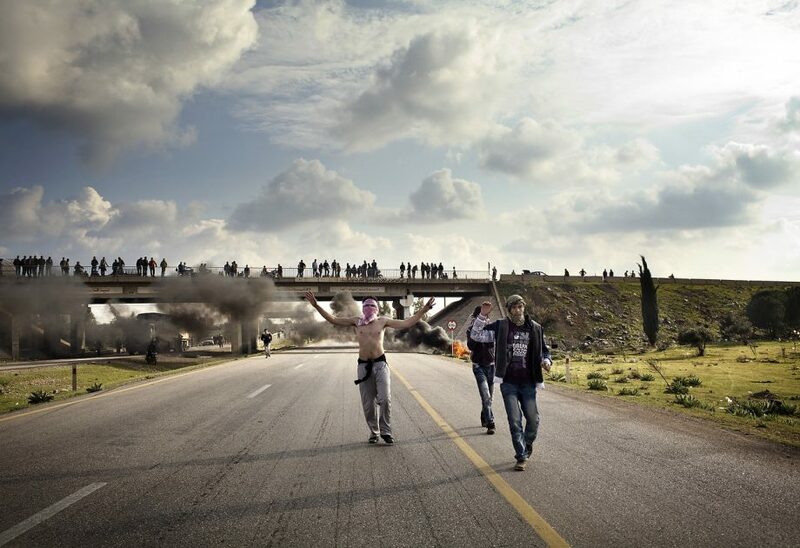 Demonstrators from Al Hrak and Kherbet Ghazalah block the highway to Daraa in protest for the killings of 5 of them on March 25, 2011. On March 23, at least 15 people where shot dead by security forces in the city of Daraa, approximately 100 km south of Damascus. Later, the Governor of Daraa was dismissed and the Syrian government resigned. The measures failed to put an end to the protests, more cities joining the demand for emergency law abolition, freedom for the political prisoners and the punishment of those responsible for the killings. Shop owner seen through the window of his store in the old city of Damascus, on March 27, 2011. On March 23, at least 15 people where shot dead by security forces in the city of Daraa, approximately 100 km south of Damascus. Later, the Governor of Daraa was dismissed and the Syrian government resigned. The measures failed to put an end to the protests, more cities joining the demand for emergency law abolition, freedom for the political prisoners and the punishment of those responsible for the killings. 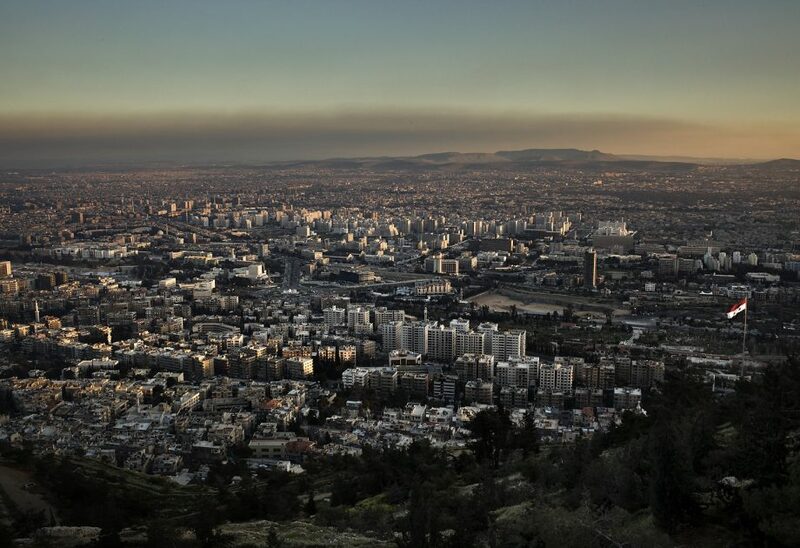 General view of Damascus as seen late afternoon on March 27, 2011. Omayad Square, opera house and Syrian national tv house can by seen in the picture. On March 23, at least 15 people where shot dead by security forces in the city of Daraa, approximately 100 km south of Damascus. Later, the Governor of Daraa was dismissed and the Syrian government resigned. The measures failed to put an end to the protests, more cities joining the demand for emergency law abolition, freedom for the political prisoners and the punishment of those responsible for the killings.